Marinate the filets of sardine with salt and sugar for 10 minuts, dry and marinate with sherry vinager for 5 minuts more. Keep in olive oil. Mix with the termomix the butter and the whole anchovy, pass trouhg a sieve. Make a thin layer of butter between de two plastics and freeze. (2 mm). We burn the skin of the sardine with a torch after we cut the butter in the same size of the sardine filet, and we place on the filet. 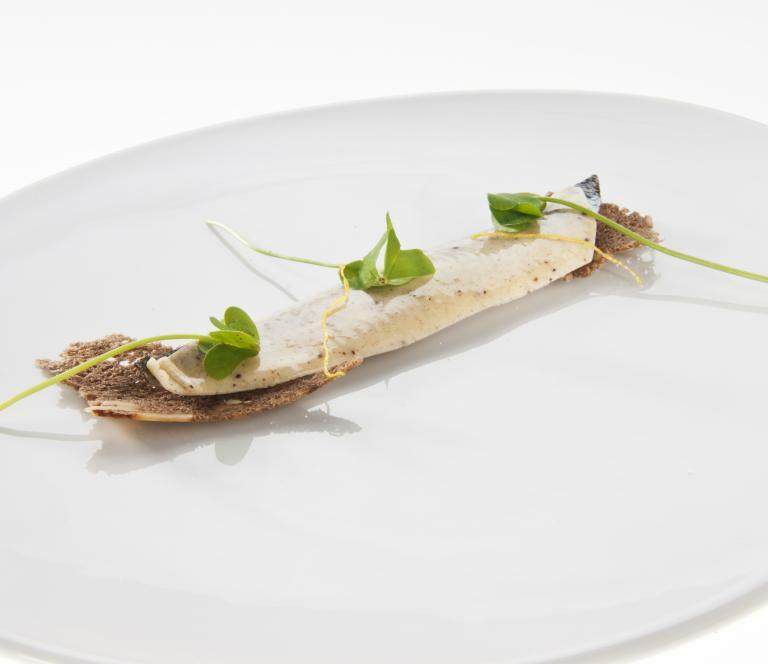 Finaly we place the sardine under the walnut bread, sliced lemon skin and oxalis.